Been radio silence around here for a couple months. Sorry about that…I’ll fill you in later. Suffice it to say this summer didn’t go exactly as planned on the writing front, but was still productive as well. But while I haven’t been updating Ye Olde Blog at all this summer, I’m breaking that fast now for Chronicles Week. Let me back up a bit. When I started writing, I credited a lot of the reasons why to one man — Hugh Howey. After reading his blog and WOOL, I was heartened by his approach and the success he had. Not success as in worldwide blockbuster multi-millionaire success, but rather just simply getting that book written and published success. I told anyone and everyone that it was due to Hugh Howey’s career that I had one as well. While I still credit Hugh a lot, I’ve taken my own course in the past year. And what a year it’s been in my life. Exactly a year ago this week, I arrived home after flying to Africa with my wife to adopt our four (now five) year old son. If you’re familiar at all with international adoption, you know that the transition isn’t always smooth. Our son has been a blessing on our lives, but my writing schedule took a huge hit. I went from being able to write hundreds or thousands of words a day to dozens. Maybe. So it was a huge boon when I worked up the courage to introduce myself to Samuel Peralta. Sam is the publisher and curator of The Future Chronicles. A year ago at this time he’d only published the first of the series — The Robot Chronicles. I nabbed an early copy and wrote up a review for it and honestly included it in my best-of-the-year list. I saw some of the authors he’d included in that volume and knew I was as qualified as some of them. I asked about being considered for a future anthology and he graciously read my novella Ant Apocalypse. A few weeks after returning from Africa (and writing virtually nothing the whole time), Sam got in touch with me and offered me a spot in The Alien Chronicles. I will honestly tell you my heart skipped a beat when I read the message that Sunday afternoon (yes, I can tell you exactly where I was) and I had to read it a couple times before I would believe it. I knew the quality of story the Chronicles called for, so I took a personal day off teaching and wrote all day. The worst part of that? I ended up scrapping the entire story I spent the day on and went a different direction. But I needed that time to convince myself the first story wasn’t as good as the story I ended up writing — Uncle Allen. When The Alien Chronicles released in early January 2015, my story was one cited in a number of reviews as a favorite, and I reached a bigger audience in that month than I had in the previous year and a half I’d been publishing put together. The Chronicles allowed me to keep writing, but adjust my new life around quality stories with a larger audience thanks to the dozen writers featured in each volume. Being put alongside writers like Hugh Howey(! ), Jen Wells, B.V. Larsen, W.J. Davies, Ann Christy, and… (I could literally go on all day…) has elevated my stories and pushed me to write even better than I did before. The relationships I’ve developed in the past few months have shown me the different ways to be an author in today’s new publishing system and Samuel Peralta is a true visionary with goals for the Future Chronicles for multiple anthologies down the road. I’m as thankful for Peralta and the universes he has had a hand in creating as I am for Hugh Howey at the start of my career. With all that said, it’s CHRONICLES WEEK! All the authors behind the current Chronicles books (so far we’ve had Robot, Telepath, Alien, A.I., Dragon, Z, and Alt.History 101) plus the half-dozen or so planned in the next eight to nine months are showcasing the Future Chronicles anthologies. If you haven’t yet read a Chronicles book, there is a special edition due out in a month, entitled (appropriately enough) The Future Chronicles. It will feature ten stories which have previously appeared in Chronicles books and five NEW stories, as well as a Foreword by Hugh Howey himself(!). It’s up for preorder right now for just 99 cents. Okay…visit The Future Chronicles this week and check out all the amazing books there. If you want a taste, my Alien Chronicles story, Uncle Allen is FREE this week only. Check it out as a taste of the collection. The days where authors sequestered themselves in an isolated cottage in upstate New York may not be over for good. A lot of authors – myself included – love moments of quiet and solitude, but for me, those moments are rare. Instead, I’m actualy finding that the time I am out in the “real world” can provide inspiration for the ongoing plotlines winding and twisting through my head. And instead of shutting myself off from the world, I find myself reaching for other pockets of creativity. As I write this post, my daughter is a few feet away, emptying the dishwasher and signing the entire “Frozen” soundtrack. In her elementary years, she discovers her creative side every day and is even prodded to do so in her schooling. As adults, we can’t always do that. In fact, there are many people who stop seeing the “possible” once real life has set in. They’ve convinced themselves they are no longer capable of painting a surreal landscape, of learning to play a musical instrument, of writing a novel. When I was fresh out of college and writing at the local newspaper, I made a goal in my head to write a book by the time I was 25. My early 20’s went by way faster than I anticipated and soon that goal was to write one by age 30. I had a lot of life changes between 25 and 30, but writing a book was not one of them. Then the years just started ticking by. 31. 32. 33. Still no book. But I had purchased a Kindle for myself in November of 2011. 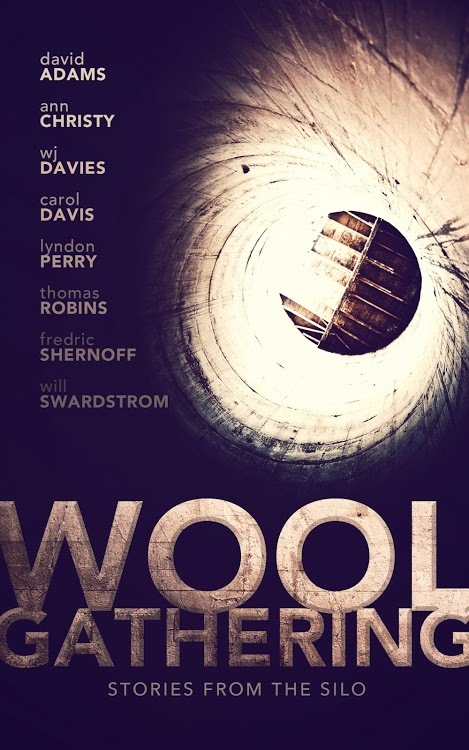 Then I started exploring the books and stumbled upon Hugh Howey’s WOOL. I’d love to say I read it and my life was transformed. But I didn’t even read it for months after downloading it. MONTHS. By the time I finally read it, I also had discovered Hugh’s blog and began discovering that he was JUST LIKE ME. 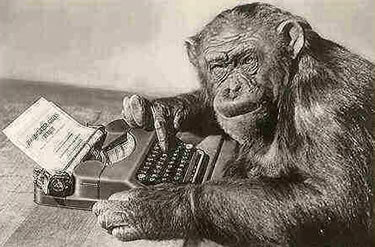 Just a few years older and he had begun his writing career a few years before. He talked to his readers and even danced for them. Way different than I imagined a successful author. I always pictured them cooped up in some dark and dusty loft, plinking away on some ancient typewriter. Hugh was not that type, for sure. And so, in January of 2013, I began to write again. I’d written the beginnings to books before…only to fail after 30-40 pages. This time I didn’t tell anyone – even my wife – for over a month after I’d started. I was scared to death I wouldn’t finish. That the book manuscript would simply get forgotten and curl up and die. It nearly did a few times when life got too much last spring, but once I’d reached a certain point – probably 20,000 words or so – I knew I HAD to finish. And I did. My first book. A life goal, accomplished before I reached age 34. Once I started, I found new ideas. Ones I didn’t know I had. I have more than a few Word files with just a paragraph explaining a plot that I didn’t want to fade into mental obscurity. Soon to be released Charity Anthology. Super excited for you guys to read these stories. This group of writers has been amazing and we’ve all inspired each other. I read their work and they’ve read mine. Many of us have teamed up for a charity Silo Anthology to be released soon. (Announcement here.) Their creativity astounds me and inspires me. When I read my friends’ books, I find myself itching to get back to my laptop to add a chapter or four to my current manuscript. Their creativity sparks my creativity…and I think that is an amazing thing. In November, I participated in NaNoWriMo (National Novel Writing Month). I decided to write the sequel to my first novel and successfully completed the month by putting over 50,000 words towards my book. But a strange thing happened that month. I read more books than I had in a few months. You wouldn’t have thought I would have wanted to expose my mind to all the new and different ideas found in other people’s books, but I found the opposite to be true. The strange, new, and wonderful ideas that sprang out of the pages of these books pushed me and motivated me to get my own words down on paper. And I hope that my words will do that for you as well. Don’t just sit there – do something. Be creative. Take the energy you would put into a few rounds of Candy Crush or the next episode of Game of Thrones and put your thoughts down. They may be great, they may be terrible…but they’ll be yours. That book I started writing in November? I had been a little stalled on it, but my friend WJ Davies challenged me to finish. I in turn challenged him to finish his book Binary Cycle 2 and we both aimed for February 8. (Here’s Binary Cycle 1, btw…) I just finished the rough draft two days ago and now it’s in the hands of five people who are (hopefully) critiquing the heck out of it. If all goes well and there aren’t any black holes (metaphorically speaking) in my plot, I should be publishing within a month or so. It may not be Feb. 8, but it’ll be pretty stinking close. Maybe you won’t write a novel, maybe you won’t paint the Mona Lisa and maybe you won’t be the next Justin Bieber (we can all hope), but whatever you do, it’ll improve and enrich the world and your creativity will touch someone else. I can just about guarantee it. …and there you go. It was a great weekend for reading, but I did manage to get some significant writing in as well. Hopefully I’ll have an announcement on a new short story/novella in the next few weeks.